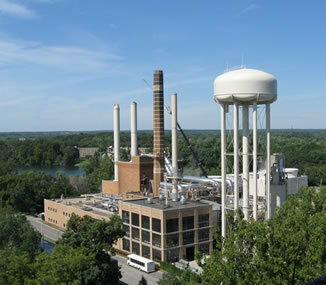 Generating about half of Notre Dame’s electrical energy, the power plant on the north side of campus has evolved since it was first built at its current site in 1932. It only produced steam for heat in the early days, but in the 1950’s, Notre Dame was the first university to generate electricity. Meet the engineers and tour the plant to see how Notre Dame is working hard to become more energy efficient. Tours are limited to Notre Dame students, faculty, and staff. Participants will meet in Room 100 of the Facilities Building, just north of the power plant. Plan to arrive a few minutes early to complete a waiver form. You should bring your ND ID and wear closed-toe shoes. There are two separate sessions: 11:30am-12:30pm and 12:30-1:30pm.